Keeping a few hens was once only for rural dwellers with big yards – or inner-city hippies. Now it’s mainstream and an attractive proposition wherever you live. Fluffy little recycling units that eat weeds, bugs and scraps and turn them into organic eggs – what’s not to love? Chickens are great backyard pets for young and old – they’re a natural extension for everyone with a vegie patch, and for those who like eggs but are concerned about the welfare of commercial hens. 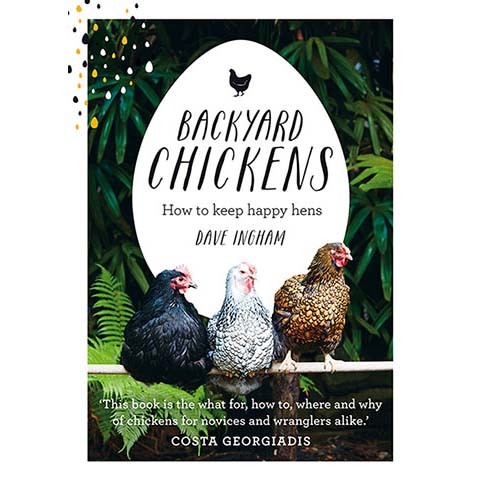 This book is the perfect reference, whether you’re already keeping chickens or an absolute beginner thinking about getting a couple of chooks. Dave Ingham offers compulsively readable advice on how to start, housing and feeding, settling chickens in with other pets, troubleshooting, and the (minimal) commitment required to keep your backyard hens healthy and happy.